If your secondary-school students are fearful of or frustrated by math, it’s time for a new approach. When you teach concepts rather than rote processes, you help students discover their own natural mathematical abilities. This book is a road map to retooling how you teach math in a deep, clear, and meaningful way to help students achieve higher-order thinking skills. 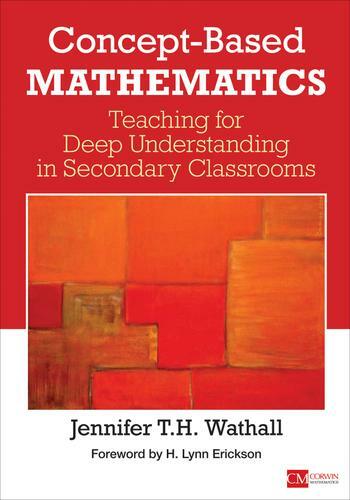 Jennifer Wathall shows you how to plan units, engage students, assess understanding, incorporate technology, and there’s even a companion website with additional resources.